Personalized Metal Corkscrew by My Personal Memories at Verve Wine Bar. Hurry! Limited time offer. Offer valid only while supplies last. for that special person in your life. It is a wine opener, bottle opener, and foil cutter. 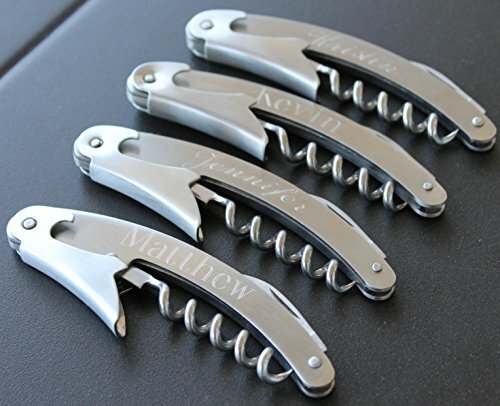 An essential gift for the wedding party or wine lover! for that special person in your life. It is a wine opener, bottle opener, and foil cutter. An essential gift for the wedding party or wine lover! Personalization of the handle is free!